The Management of Obasanjo Farms Nigeria Ltd (OFN), and the University of Agriculture, Abeokuta (UNAAB), has signed a Memorandum of Understanding (MOU), on the nation-wide testing of Oba-Marshall Broilers, newly introduced by OFN. A release signed by the Principal Investigator, Prof. Daisy Eruvbetine, informed that UNAAB is expected to carry out performance trials on the birds across the six geo-political zones of the country, with the 1st phase of the project commencing in three states of the South-West, namely; Ogun, Oyo and Lagos. 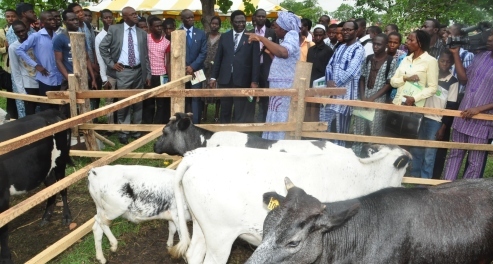 The release further revealed that UNAAB, University of Ibadan (UI) and Lagos State Polytechnic, are to select 10 farmers within each of their respective states to carryout the on-farm trials and collect data on performance. The Project will commence soon with a pre-experimental Workshop in Abeokuta for all farmers involved.